Once upon a time I was a famous blogger. Well, at least in my mind. And at that time I belonged to a very special community of bloggers of all varieties. There were humor bloggers, daddy bloggers, photography bloggers, mommy bloggers, cat bloggers, bra bloggers (no really), and even cartoon bloggers. And, as every one of you who blogs or has blogged knows, the greatest thing about blogging is the friendships you build. While I was experiencing my 4 years of fame, I “met” a quirky guy from Ripon, CA who had a blog called “Mattress Police.” Rob Kroese is his name and writing is his game. Rob, aka “Diesel” to his readers, is my favorite kind of blogger… funny. Diesel has a “unique” perspective on life as well as a talent for expressing it. Everyday observations to you and me become colorfully twisted possibilities to him. You have an unidentified switch on your dashboard? Diesel has a complete analysis about his. You hire someone to do a little landscaping? Diesel hires the neighbor kid and writes controversial hilarity. That’s just how things work with him. Diesel’s "Onion-esque" blog was a favorite stopping place for me to get my chuckle on, and I never missed a post. But then last year he did something epic and took his talent to the next level by writing AND self-publishing his very own novel, Mercury Falls. *THEY* said he couldn’t do it. *THEY* said he would be wasting his time - and yet *THEY* were wrong. Not only did Rob (I have to change his name back to “Rob” now because from this point forward he is a published author) write a hysterical novel about an angel named Mercury who has been put in charge of the Apocalypse, but he also defied all odds when Amazon republished his novel under their own AmazonEncore label this fall. Since then, Mercury Falls has spent several days in the number one spot in Amazon’s science fiction category. That’s pretty fricken cool. So check it out Rob’s new book here: http://robertkroese.com. In fact, check out ALL his books there. He’s written like twenty of them. Ok, only three… but three really funny ones. So that’s like 20 bad ones. No, that didn’t come out right. I meant it’s like taking all the funny out of 20 books and cramming it into three of his books. Whatever… just check it out! Ed: I have in no way been forced to or bribed into writing this review. I just really like Rob’s work and think the 4 of you should check it out as well. OK - I WILL check it out! Once upon a time? Are you giving up blogging for good then? I hope not. And you are absolutely right about Diesel's books being excellent! Now I'm just hanging around waiting to see if there will be a sequel to Mercury Falls. 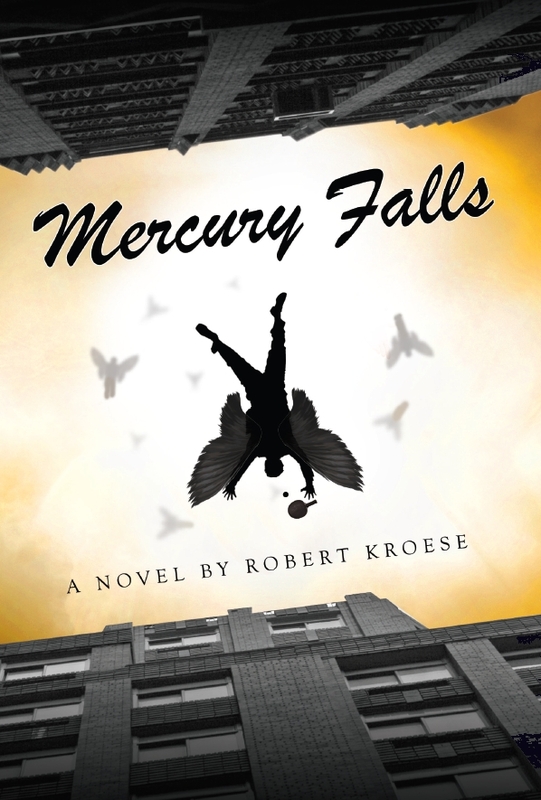 Hey, I already own an original signed first-edition of Mercury Falls and I wholeheartedly agree that anyone who doesn't own a copy should go get one RIGHT NOW! Wow! That's a real acomplishment! I'll have to go to Amazon and check it out. I meant three comments is not many for your great blogs. The comment from Australia means you still have a few readers around, so start the climb back. I love Diesel, and the book will make a great Christmas present...don't tell anyone in my family. I have his books too; he is hilarious and reminds me of Douglas Adams another favorite of mine. I am not surprised at all at his success. I too am eagerly awaiting the sequel.